a gateway to the mystery of the world. Pass through, all you fearful and timid. Soon the dance begins out in the open unsafe plain. Come, you arcane seekers of light. The sunset shadows behind every rock are ready to tell their stories. There is no line in which to wait, no papers, no scowls, no pleas. Come, mechanics and makers of tools. Breathe the delicate air between the ever before and after. Pass through, scientists of every stripe. Survey what can be explained and leave the rest to rest. Come, you prophets of locust and leather. Paint again the picture of what awaits on the other side. 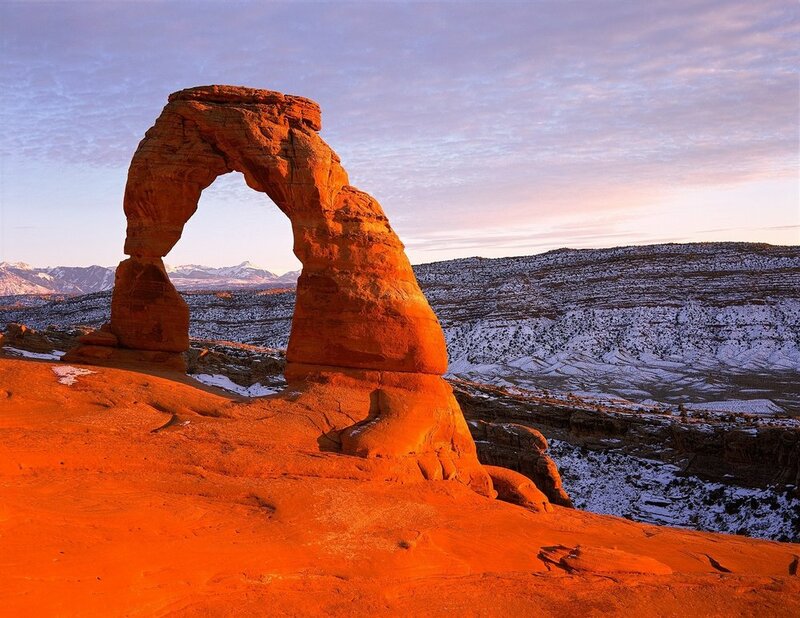 Delicate Arch is perhaps the most iconic sandstone formation in Arches National Monument. Its compelling beauty speaks for itself. It strikes me as a portal opening up to realms and dimensions beyond our control, beyond our analysis, beyond our comprehension. Part of human becoming is grappling with our finitude, and finding in the humility of our limitations an openness to what is bigger than us, beyond us. For some that is a fearful notion. For me I hear the invitation of a Father calling us "further up and further in" (as C. S. Lewis so memorably put it). Photo credits: both images are from Pixabay.com, permission granted under CCO Creative Commons License. These particular images were posted by "skeeze"